We know that social bullying can have a devastating impact on a person’s life. We hear from adults who have all experienced some form of relational bullying. Knowing how to deal with this isn’t always easy, as it can often be done covertly and undercover by the perpetrator. Sometimes the victim has no idea what is going on until something slips out from another person, or they inadvertently stumble upon something. When you are trying to deal with social bullying in the workplace, it can become a very anxious and stressful time. What sort of behaviour is social bullying? Damaging or hurting someone’s reputation or relationships, including professional. Trying to get others to avoid having contact with the victim. The main difference between social bullying and cyber bullying is that with the latter there are ways of finding out a person’s IP address which helps in tracking down cyber bullies. With social bullying it can be a lot harder to obtain concrete proof that this is happening as often it can be one word against another. So what are the effects of social bullying at work? Social bullying can make it difficult for the person to trust their friends or colleagues. In a survey we conducted recently on workplace bullying, 73% of respondents said the bullying was verbal bullying including threats and made to feel bad and 60% felt the bullying was social including being left out, being ignored and feeling isolated. This shocking statistic shows the level of social bullying in the workplace. It can have a devastating impact on both their emotional and physical health which can result in people feeling as though they are paranoid or overreacting to certain situations. "I was verbally bullied often. I was spoken down to me front of clients and made to feel threatened if I didn't carry out tasks the perpetrators way. When I challenged their behaviour I was laughed at and they made the excuse that it was a joke and that so couldn't take a joke." Worryingly, 48% people surveyed on workplace bullying felt that they need to continue to just put up with the bullying whilst 20% stated they were signed off work with stress. This shows how this can affect their professional credibility within the workplace. Gossip and rumours can soon escalate and find their way to management and senior members of staff. This can have a devastating impact on a person’s career and can affect their chances of promotion and stability within the company. What can be done to try and stop it? It can be really difficult to get redress from social bullying as it can be difficult to prove and often hard for action to be taken. There are some options to consider to try and minimise or stop the bullying. If the bullying is online, it is important to take a screenshot and keep this as evidence as you may need this at some point to get action taken against the bullies. You may want to consider talking to the person who is bullying you and let them know that this situation is making you stressed out or uncomfortable. You could ask them if this was happening to them, how would they feel or react? This may make them realise their actions are negative. Unfortunately, this course of action may end up making the bullying worse if they were to tell others. It is important to trust your instincts on whether this course of action is appropriate. Another thing you could try to do is to ignore the bullying and try not allow it to get to you. This is not an easy thing to do but perhaps you could go in with the attitude that this is work, this pays my bills and this is why I am here and perhaps this might emotionally detach you from the social bullying. Quite often if the bully isn’t getting a reaction, the bullying might stop. If you have proof that you are being socially bullied and you are able to take this to your line manager or HR, the perpetrator could face disciplinary procedures if the allegations can be proved. What can managers or HR do? We know that social bullying can impact on morale in the office which then has a knock on effect on productivity. This in turn could impact on the business so it is important that managers do take this matter seriously. 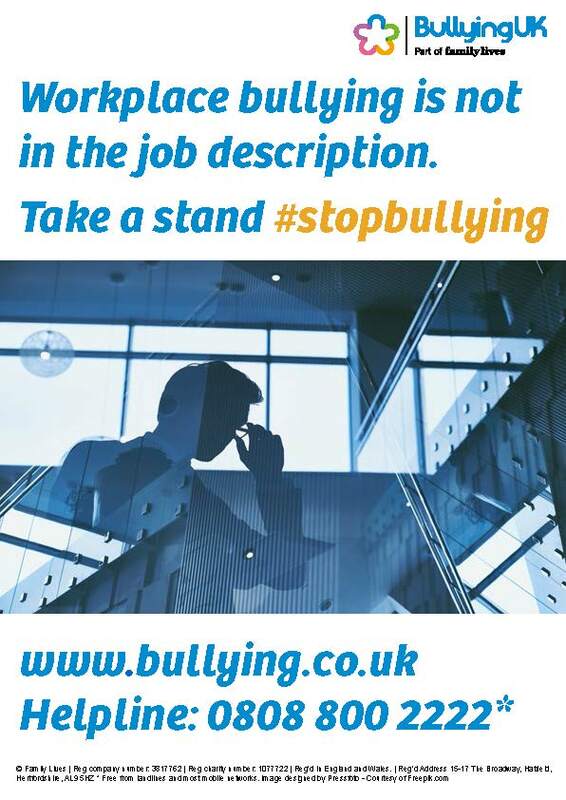 It is therefore important to learn and recognise the signs of bullying in the workplace so managers can address situations or issues before they may spiral out of control. If the social bullying is coming from a management level, this makes things a little more difficult as other co-workers will also be worried that they could also become targets. Encouraging staff to speak out against bullying can be really helpful as there will normally be more than one victim and power in numbers is helpful. Having a zero tolerance on bullying in the workplace and making this known is also very important as this will make your staff feel secure within their working environment. Proper handling of any situation that involves bullying is really important and will hopefully prevent it from continuing to happen, or damage the victim’s reputation. No matter where this happens it is crucial that the victim is protected and the appropriate measures are put in place to report the bullying and discipline the perpetrator. It is important to understand that workplace bullying can and does affect individual's emotional and mental health too and have an impact on their family life too and this is why it is important to take necessary action and have a zero tolerance on bullying within the workplace.